Kevin Wilde serves as an adviser to i4cp and contributes to the direction and focus of i4cp's research. 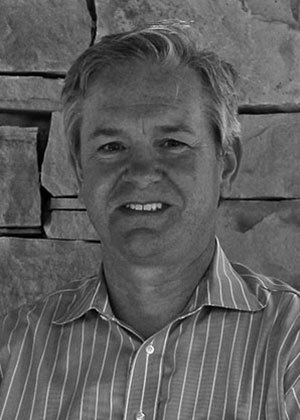 Kevin was previously responsible for world-wide people growth at General Mills, including talent management, executive development and the Leadership Institute. Since joining the company in 1998, the organization was consistently recognized for its innovative development work, highlighted by Fortune's #2 ranking as one of the best companies in the world at leadership development, #1 listing by Leadership Excellence magazine, #1 Global Learning Elite ranking and Training magazine's "Hall of Fame" designation as a top company for employee development. In 2007, Chief Learning Officer magazine selected Kevin as CLO of the year. Kevin is a columnist for Talent Management magazine and serves on the editorial board for a number of professional journals. In 2011, his first book, "Dancing with the Talent Stars: 25 Moves that Matter Now" was published by Human Capital Media. His writing for Talent management received a national award for editorial excellence from the American Society of Business Publication Editors. His work has also been published in over a dozen books, including Coaching For Leadership and the Pfieffer Annual on Leadership Development. He has been quoted on leadership and development by Business Week, the Financial Times, Fortune and Time magazine. Before joining General Mills, he spent 17 years at General Electric in a variety of human resources positions in the healthcare and capital divisions, as well as corporate assignments at GE's renown Crotonville management development center. While at GE, he also held positions in manufacturing, marketing and six sigma quality. He received a bachelor's degree in marketing and education from the University of Wisconsin at Stout in 1980 and a master's degree in administrative leadership and adult education from the University of Wisconsin at Milwaukee in 1981.